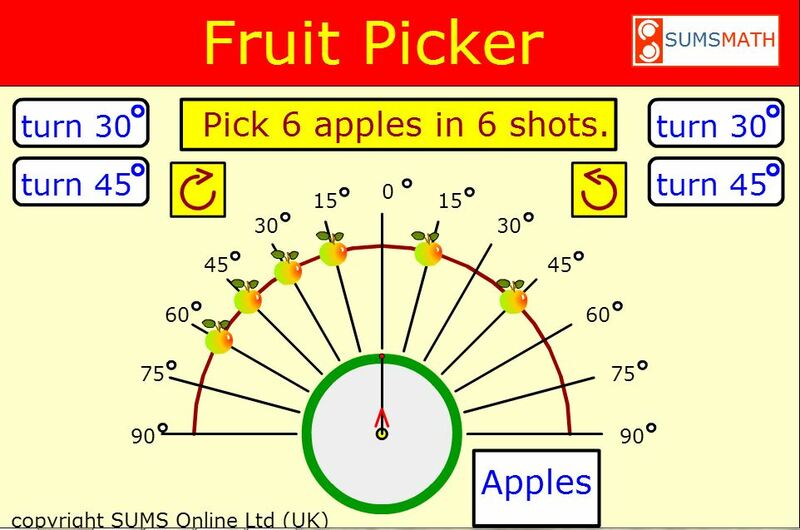 Pupils easily learn mathematical degrees with the Fruit Picker game. The game is free for use within a browser at www.fruitpicker.co.uk. The App in the AppStore costs 0,99 $. If you search for the App in the AppStore be sure that you type the two words Fruit Picker. Another game in the same series is more difficult and uses the whole cirkel: Shape Rotate , Degrees in a circle at www.shaperotate.co.uk .